Located in Vancouver, BC’s Kitsilano neighbourhood, Fraser Academy is a leader in the field of education for students in grades 1-12 with language-based learning and processing disabilities, including dyslexia. With a maximum of 10 students per class, the school follows the BC Ministry of Education curriculum. An impressive 90% of Fraser Academy grads go onto post-secondary education. Fraser Academy is an accredited member of the Canadian Accredited Independent Schools (CAIS), the Independent Schools Association of British Columbia (ISABC), the International Dyslexia Association (IDA) and the Federation of Independent Schools Association (FISA). Fraser Academy is seeking engaging, empathetic, and dedicated Middle, and Senior School Teachers on Call to join our team of educators. 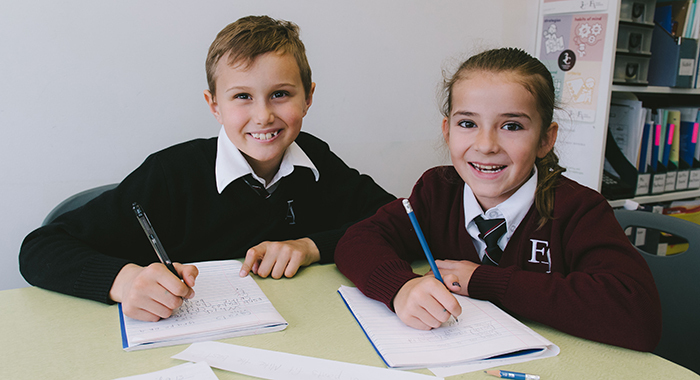 Located in Kitsilano, Fraser Academy is a highly effective academic school, specifically for students in grades 1-12 who have dyslexia or other related language-based processing difficulties. With a maximum of ten students per class, the school follows the B.C. Ministry of Education curriculum. An impressive 90% of Fraser Academy grads go onto post-secondary education. For more information about the school, please go to our website, www.fraseracademy.ca. Fraser Academy is an accredited member of the Canadian Accredited Independent Schools (CAIS), the Independent Schools Association of British Columbia (ISABC), the International Dyslexia Association (IDA), and the Federation of Independent Schools Association (FISA). To apply, please send a resume, cover letter, and three references to Travis Thielmann, Director, Academics & Curriculum, at tthielmann@fraseracademy.ca. Only shortlisted candidates will be contacted. Thank you for your interest, we look forward to hearing from you! Fraser Academy is seeking engaging, empathetic, and dedicated Junior, Middle, and Senior School Teachers on Call to join our team of educators. Located in Kitsilano, Fraser Academy is a highly effective academic school, specifically for students in grades 1-12 who have dyslexia or other related language-based processing difficulties. With a maximum of ten students per class, the school follows the B.C. Ministry of Education curriculum. An impressive 90% of Fraser Academy grads go onto post-secondary education. To apply, please send a resume, cover letter, and three references to Erin Cranston, Director of Junior School, at ecranston@fraseracademy.ca. Only shortlisted candidates will be contacted. Thank you for your interest, we look forward to hearing from you! Fraser Academy’s After3 program is seeking a part-time educator to join our team for the remainder of the 2018-2019 school year. Fraser Academy is a fully accredited day school, which focuses on educating students in Grades 2-12 with language-based learning disabilities. This includes an After3 program that supports students with learning differences, who are not in our day program, but need intensive one-to-one remediation in math, English or Executive Function skills to become successful learners. Fraser Academy is also an accredited member of the Canadian Accredited Independent Schools (CAIS), the Independent Schools Association of British Columbia (ISABC), the International Dyslexia Association (IDA), and the Federation of Independent Schools Association (FISA). As a Math Specialist and Remedial Instructor, you will play an important role in the critical, creative and collaborative thinking of students with regards to mathematics in the After3 Program. You will work with a collaborative, dynamic team of educators and staff who are passionate about the success of all learners. This role requires someone who can adapt and adjust their instruction to meet the diverse needs of each learner and is passionate about student success. Excellent instructional practice in developing numeracy skills and numbers sense are required for this role. To apply please send your resume and cover letter to Erin Kline at ekline@fraseracademy.ca. Only shortlisted candidates will be contacted. Thank you for your interest, we look forward to hearing from you! Fraser Academy invites applications for part-time experienced Orton-Gillingham Tutors to work in our Fraser After 3 Program running Mondays to Thursday from 4:00 pm to 7:00 pm during the school year. Successful candidates may choose how many students they wish to tutor. Each student will have a minimum of two sessions per week. Candidates must have an undergraduate university degree and relevant experience working with children and adolescents. In addition to teaching foundational reading and spelling skills, Fraser Academy tutors provide support in writing skills, study skills as well as strategies for reading comprehension and executive functioning difficulties. Programs are tailored to meet individual student needs. To apply, please send your cover letter and resume to Jo Stebbings, Director of Learning Services, at jstebbings@fraseracademy.ca. We will contact only those candidates we wish to interview. Fraser Academy is seeking a permanent full-time Middle/Senior Math Teacher to join our team of educators starting as soon as possible. Fraser Academy is a fully accredited day school, which focuses on educating students in Grades 2-12 with language-based learning disabilities. These students are taught in small class sizes with up to ten students. Each student receives one-to-one language training daily and works with a variety of subject specialist teachers. As a Math Teacher, you will play an important role in developing mathematical thinking in students, and promoting math throughout the school. You will work with a collaborative, dynamic team of educators and staff who are passionate about the success of all learners. This role requires someone who can adapt and adjust their teaching to meet the diverse needs of each learner and is passionate about student success. Excellent instructional practice and an eagerness to learn and grow as an educator are required for this role. Fraser Academy is an independent school serving students in grades 1-12 with dyslexia and language-based learning differences in Vancouver, BC. We are proud to provide a learner-centric environment with the most effective research-based methods to optimize personalized learning, cognitive development, and post-secondary opportunities. We are currently looking for a Junior Administrative Assistant to join our dynamic team. This is the perfect role for an organized and personable individual fresh out of school or looking to transition out of the restaurant/service industry. We are looking for an efficient, self-starter, who looks to better support their team. Growth opportunities available in the future! We are looking to fill this position as soon as possible and ask interested candidates to please submit a resume, cover letter and references. Only shortlisted candidates will be contacted. To apply please send applications to info@kanewhite.com.